In case you haven´t heard. 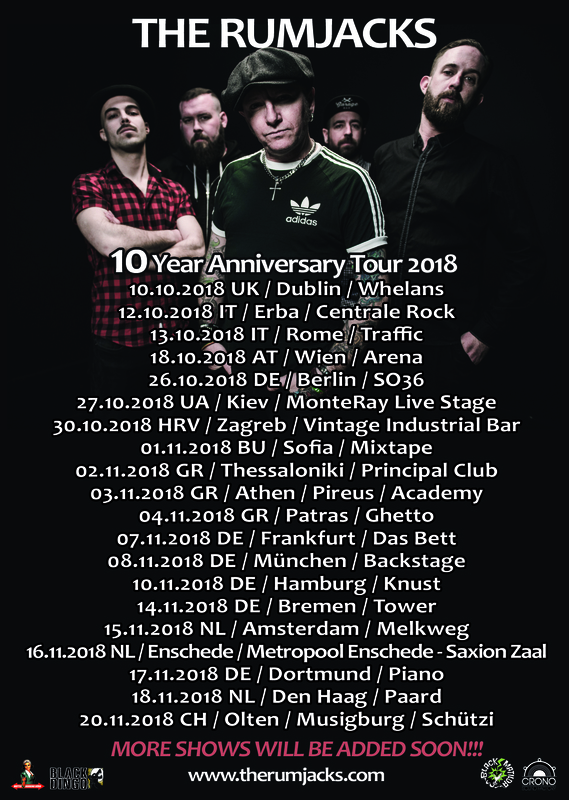 We are super happy to announce the upcoming "10 year anniversary tour" of The Rumjacks ! Many more shows will be announced soon and we will have more great news in The Rumjacks universe for you in the next couple of weeks! So watch this space and more infos will follow soon! We can't wait for October & November to come! 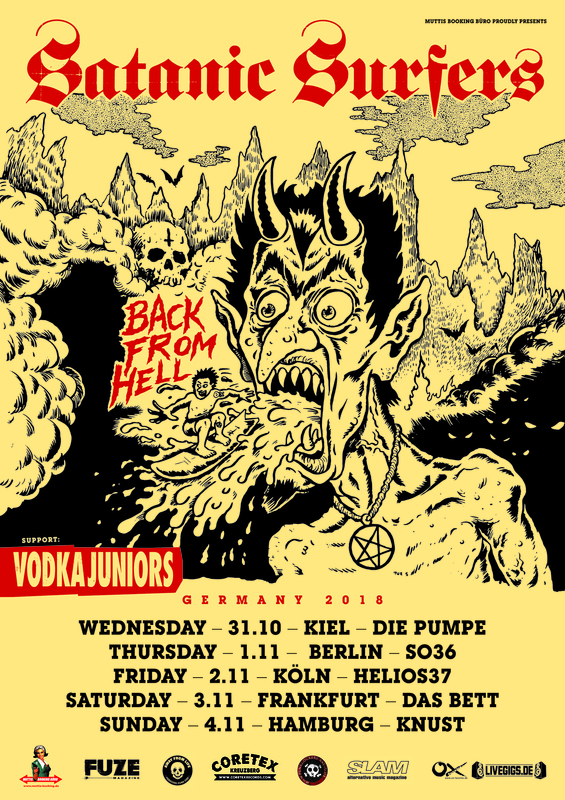 We are super happy to announce the main support of the Satanic Surfers fall tour - say hello to the great Vodka Juniors. The guys coming from Greece and can't wait to hit the stage with Satanic Surfers. After a tour is right before the next tour. So we are happy to announce the November-Tour of ZEKE ! They guys will be back in Germany, but also Finland, Austria and Hungary! Check our website in the next few days to find the presale links! And stay tuned for more infos and updates! Fahnenflucht spielen am 09.06.2018 in Hamburg, Grosse Freiheit 36 beim Gott sei Punk Festival. Auch dabei sein werden u.a. ZSK, NoRMAhl, Emscherkurve 77 und viele, viele mehr. Hello everybody & Happy Monday! The BellRays are back in Germany to show us their wonderful R'n'B Soul & Punk - Sound! Don't miss them and get your tickets soon. We see you soon!! CHEERS! we have a long weelend ahead of us, with a lot of music & concerts! Make sure to catch one of the shows. 30.04.2018 DE / Hannover / LUX - Concerts - SOLD OUT! 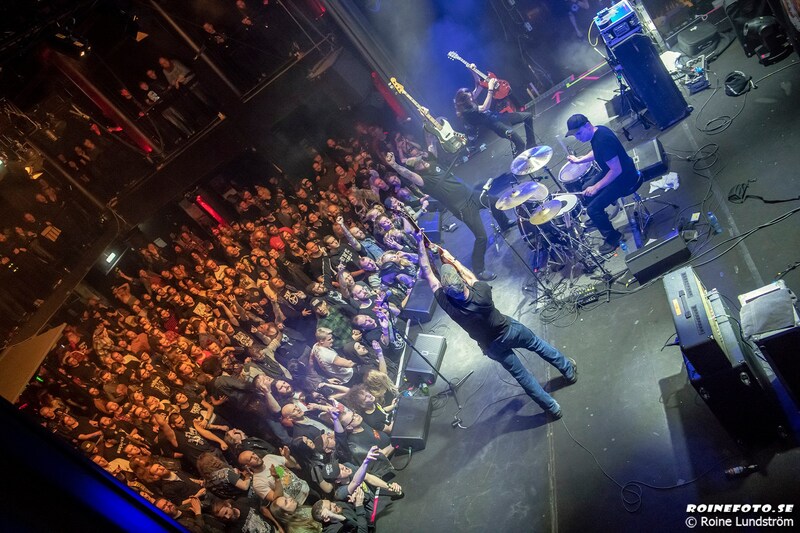 Have a wonderful weekend and make to check our tour section for all upcoming gigs of The BellRays, Bitter Grounds, TV Smith, The Briefs, Cyanide Pills, The Rumjacks, The Real McKenzies and many many more! !